We have ordered and are building what we think will be representative of the final production boards for the 539. We may have one more board spin for one or two boards, but hardware wise I believe we are in pretty good shape. Software, we are still in development of the firmware for the rig, but we are making real good progress. Timing, not sure yet, but it is in process along with several other new items. Regarding the 418, we have two more tweaks to the firmware to make. The hardware is finished, and being released to production. We are ordering parts, and plan to be at least taking orders around mid May, if not shipping by then. We passed the testing for FCC, and are in the process of getting the paperwork through FCC. 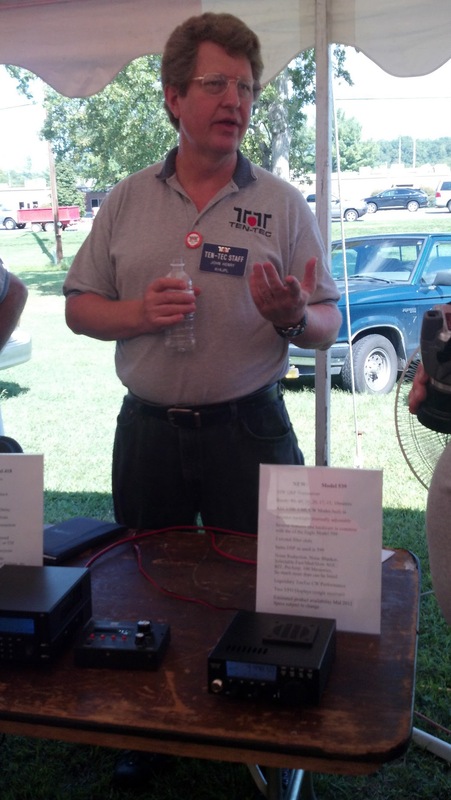 We had a lot of positive input on the 418 at Orlando Hamcation, so we expect the 418 to be a hit with QRPers that also want to use their QRP rig to go 100watts occasionally. This entry was posted in Product Announcements, QRP, QRP Radios and tagged Interview, Interview with Ten-Tec, Model 418 Photos, Model 539, Ten-Tec, Ten-Tec Model 418, Ten-Tec Model 418 100 Watt Amplifier, Ten-Tec Model 418 Features, Ten-Tec Model 418 Photos, Ten-Tec Model 539, Ten-Tec Model 539 Features, Ten-Tec QRP. Bookmark the permalink.